Do you know how many dogs in this world are displaced every year because of loss? Some of them were traded or slaughtered by dog traffickers, some were adopted by well-meaning people, only very few returned to their owners. Not every lost pet has enough fortunate to get back. 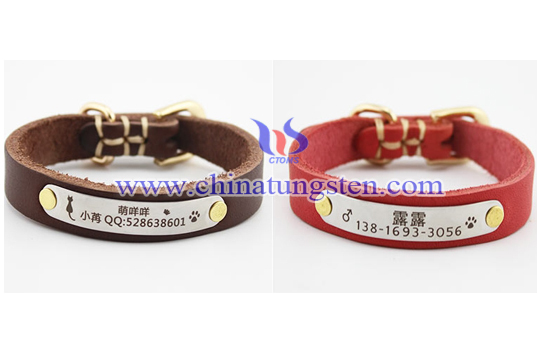 Therefore, equipped with a dog tag for your loving pet would be very meaningful. Rivet-on tungsten dog tag adopts fiber laser marking machine imported from German so that the text or pattern engraved on the surface is high-precision, delicate and would not wear after a long time use. With high-quality tungsten alloy material, the god tag is wear resistant, rust resistant, and durable without easy deforming. 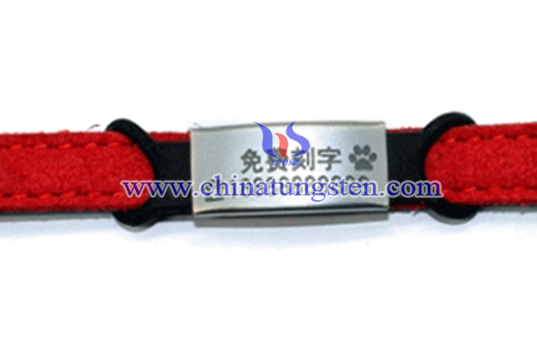 Professional designers provide a variety of templates for dog tags, giving you different choices. 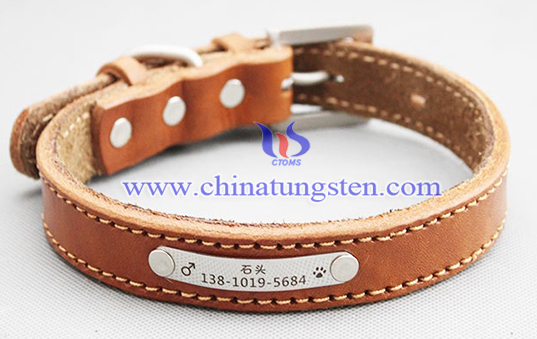 If you have any interest in rivet-on tungsten dog tag, please feel free to contact us by email: sales@chinatungsten.com sales@xiamentungsten.com or by telephone:0086 592 5129696.